NARS Soft Matte Complete Concealer LIGHT CREME BRÛLÉE New In Box FREE SHIPPING!! 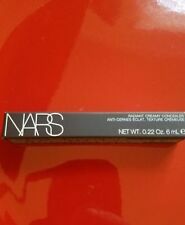 4.5 out of 5 stars - NARS Soft Matte Complete Concealer LIGHT CREME BRÛLÉE New In Box FREE SHIPPING!! 4 product ratings4 product ratings - NARS Soft Matte Complete Concealer LIGHT CREME BRÛLÉE New In Box FREE SHIPPING!! NARS Soft Matte Complete Concealer MEDIUM GINGER New In Box FAST SHIPPING!! NARS RADIANT CREAMY CONCEALER MEDIUM 1 CUSTARD 0.22 OZ NEW IN BOX. Condition is New. Shipped with USPS First Class Package. NEW!! NARS SOFT MATTE CONCEALER CHOOSE YOUR SHADES..
NARS RADIANT CREAMY CONCEALER - LIGHT 2 VANILLA. Ideal for all skin types, Radiant Creamy Concealer is a multi-action formula that instantly hides imperfections, blurs the appearance of lines and wrinkles, and hides dark circles and signs of fatigue. 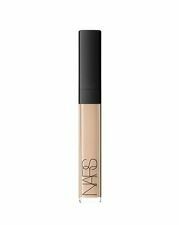 NARS Concealer brilliantly obscures imperfections and dark spots with. A lightweight, creamy, long-wearing concealer. Shade - Light 2 Vanilla 1232. Radiant, Creamy Concealer. NARS Soft Matte Complete Concealer - Dark 3 Dark Coffee - NEW, NO BOX! The products we provide are new and AUTHENTIC. NOTE: WE DO NOT CONSIDER A PRODUCT "EXPIRED" BASED UPON THE BATCH CODE! We find these products to be a great way to sample an item without the cost of buying a full size product and finding out you really don't like it. 5 out of 5 stars - NARS Soft Matte Complete Concealer - Dark 3 Dark Coffee - NEW, NO BOX! 1 product rating1 product ratings - NARS Soft Matte Complete Concealer - Dark 3 Dark Coffee - NEW, NO BOX! Full Size NARS Radiant Creamy Concealer. All colors available. Condition is New. Shipped with USPS First Class Package. Concealer Anti Cernes. 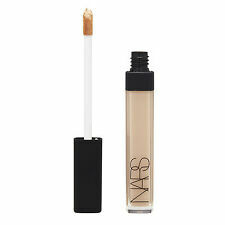 The NARS Concealer reduces the appearance of imperfections and dark spots with its creamy. A creamy, long-wearing concealer. Long wearing and crease resistant, this ultra lightweight yet opaque concealer leaves a flawless finish. Nars Soft Matte Complete Concealer Sampler Card. RADIANT CREAMY. All of our products are 100% AUTHENTIC. 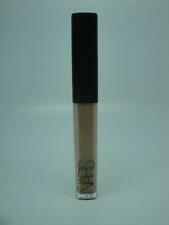 Nars creamy concealer(med/dark 4 Hazelnut). Condition is New. Shipped with USPS First Class Package. Box does show wear! Nars Duo Concealer - Refill in Clamshell. Net weight is 0.14 Oz. /4 g. Full sized item. For fair complexions. Shade - TOFFEE #1206. Concealer Stick. Full Size - 0.17 Oz. Nars Radiant Creamy Concealer. Shade: Light 2, Vanilla. Size: 0.22 oz. (100% Authentic). Nars Radiant Creamy Concealer “Light 2.8 Marronglace” 0.22 Oz. / 6 mL. Condition is New. Shipped with USPS First Class Package. Brand new without box. Custard / Ginger # 1222. Duo Concealer. Size - 0.14 Oz. 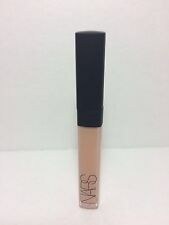 NARS Soft Matte Complete Concealer - Cacao Dark 2 - NEW & BOXED! NEW & BOXED! The products we provide are new and AUTHENTIC. NOTE: WE DO NOT CONSIDER A PRODUCT "EXPIRED" BASED UPON THE BATCH CODE! We find these products to be a great way to sample an item without the cost of buying a full size product and finding out you really don't like it. Nars Radiant Creamy. New, Unboxed. Condition is New.